A rubber roof can last for the better part of a lifetime when you make an effort to maintain it. Capital Coating can help you get the most out of your rubber roof through thorough roof inspections and timely rubber roof repairs. The people of Lebanon, PA can trust us to handle all types of roofing services. To schedule a rubber roof repair, give Capital Coating a call at (717) 442-0979. Scheduling a roof inspection is quick and easy so you should make sure to keep up with it as the years go by. With a few roof inspections per year, Capital Coating will be able to keep your rubber roof repairs small. We’ll stay on top of any necessary maintenance which will significantly extend the life of your rubber roof. 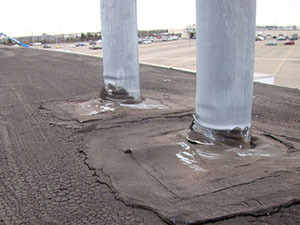 You can trust us for rubber roof repairs because our roofing technicians are the best around. With all of the proper training, licenses, and insurance, the team members at Capital Coating are fully qualified to set you up with a roof that is here to stay. We don’t do jobs based on what’s quickest and easiest, we do jobs based on what’s best for the longevity of your roof. A rubber roof can be quickly and easily restored with a roof coating. As you may have guessed from our name, this service is Capital Coating’s specialty. There are a number of benefits to having your roof coated. First of all, a roof coating means the end of persistent roof leaks. This service is a far more affordable alternative to a roof replacement. A roof coating is a thin, waterproof membrane that covers your roof seamlessly. This leaves nowhere for the water to go other than off of your roof. A roof coating also helps to lower energy costs because it reflects the sun. 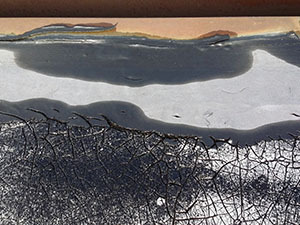 When you need a rubber roof repair or any other type of service, Capital Coating can help. Our services are offered at competitive prices to the people of Lebanon, PA. You can reach us at (717) 442-0979 to get a free estimate. We’ll come by, evaluate your roof, and let you know what your options are.